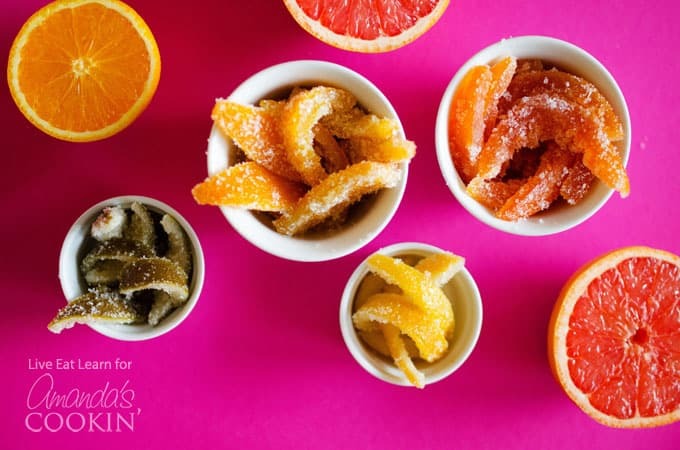 This simple Candied Citrus Peel recipe transforms your leftover citrus peels into a delectable holiday candy! Give them as a fun homemade gift or chop them up for topping yogurt and cereal for yourself. If you’re feeling overly decadent, dip them in dark chocolate for a sweet treat perfect for gift giving! If there’s one thing I love more than cooking healthy food, it’s reducing my food waste. 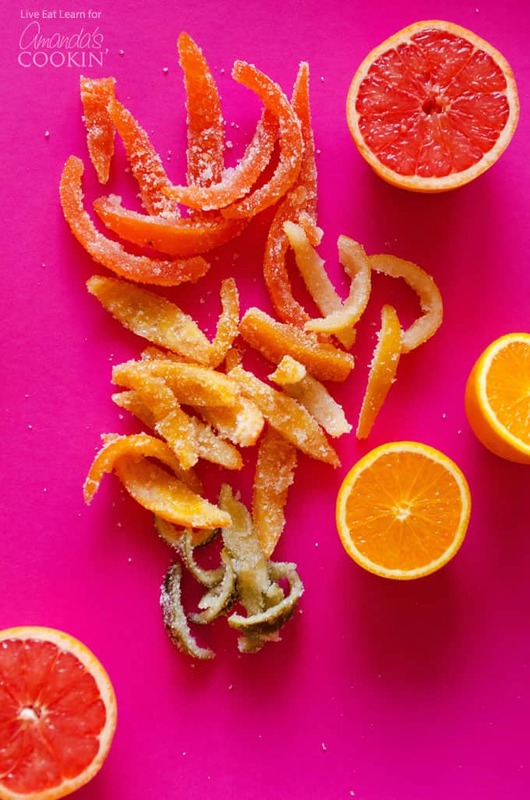 I could go and find some statistic to tell you exactly how much food the average American wastes each year, but in the essence of getting straight to talking about this candied citrus peel, I’ll just say that it’s a LOT. 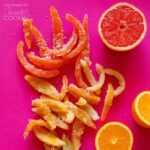 So while it would be a stretch to call this Candied Citrus Peel healthy, it’s great for turning what would be food waste into a delicious, delectable treat! The great thing about this recipe is it’s super adaptable. 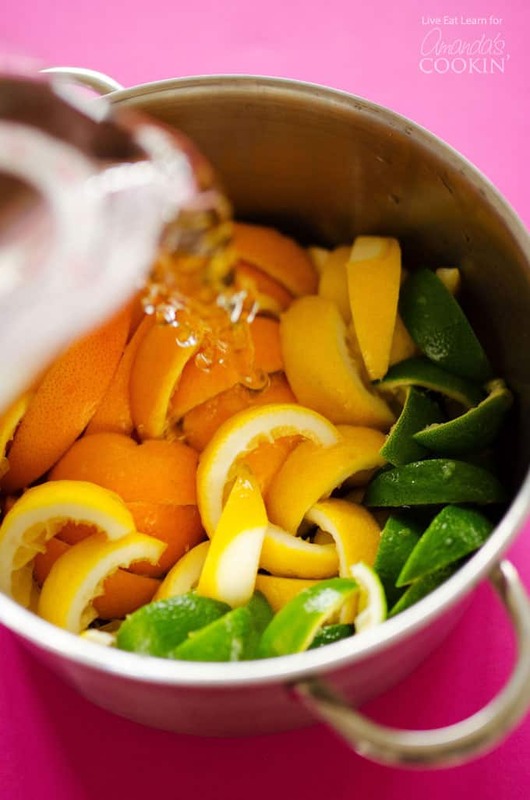 You essentially just need 3 cups of citrus peel, so you can use whichever fruit is your favorite. Serve them rolled in sugar, or dip them in chocolate and package them into holiday gifts. 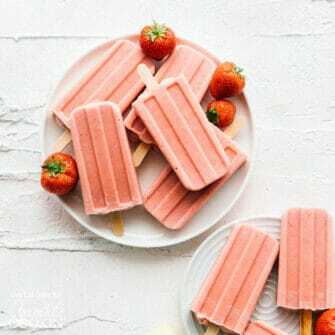 Eat them for dessert, or serve them chopped on your morning yogurt or oatmeal. The possibilities are endless! Could this be used as the candied citrus needed in most fruitcake recipes? Have you ever used in a baked good? We have not tried that so can’t guarantee the results. If you try it we would love to hear how it went!